With her attention…Congresswoman Ocasio-Cortez’s staff has received training in handling personal threats…. Along with the lawmakers iconic rise in the media has come threats against here and her staff…. 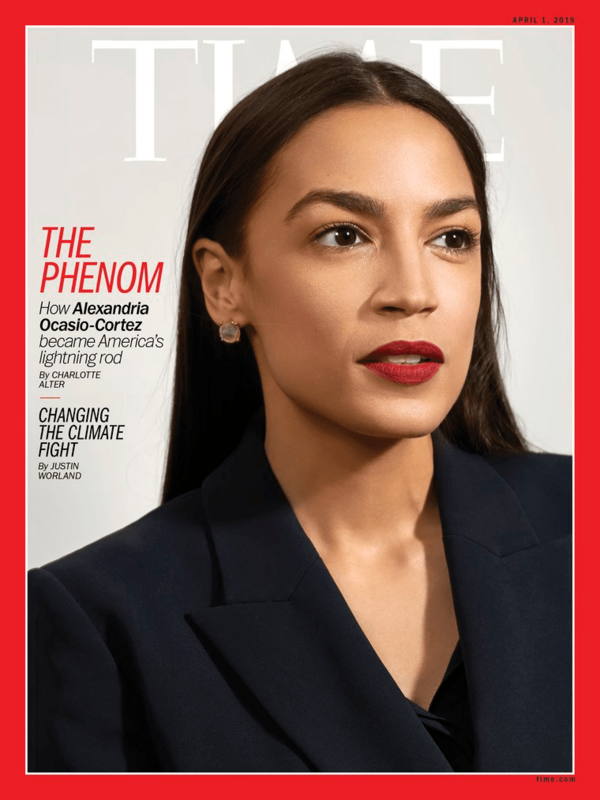 And….She graces the cover of Time magazine….